My SSDD has sprouted as well! Sure hoping it's a girl child too! As these babies are outside grows. Hey Poppa, if none can be found, Just make sure you get you name on the list for other strains not grown yet. There are quite a few left I think. They'll be coming in stages depending on when the breeder can do the work. And, at the very least, we'll find a way to get you a few seeds of it anyway. I"m not sure how many seeds of each one were available, but I'd be willing to donate a few if needed. If you need help putting your name on any of the lists give one of us a holler and we'll get you hooked up. Just click the little edit icon on the top of each page with a different strain. Then just add your name into the list alphabetically, and type it just like the others. The two asterisks before and after each name makes it BOLD. Just make sure you get you name on the list for other strains not grown yet. There are quite a few left I think. They'll be coming in stages depending on when the breeder can do the work. Thanks to all you folks! Truely awsome! 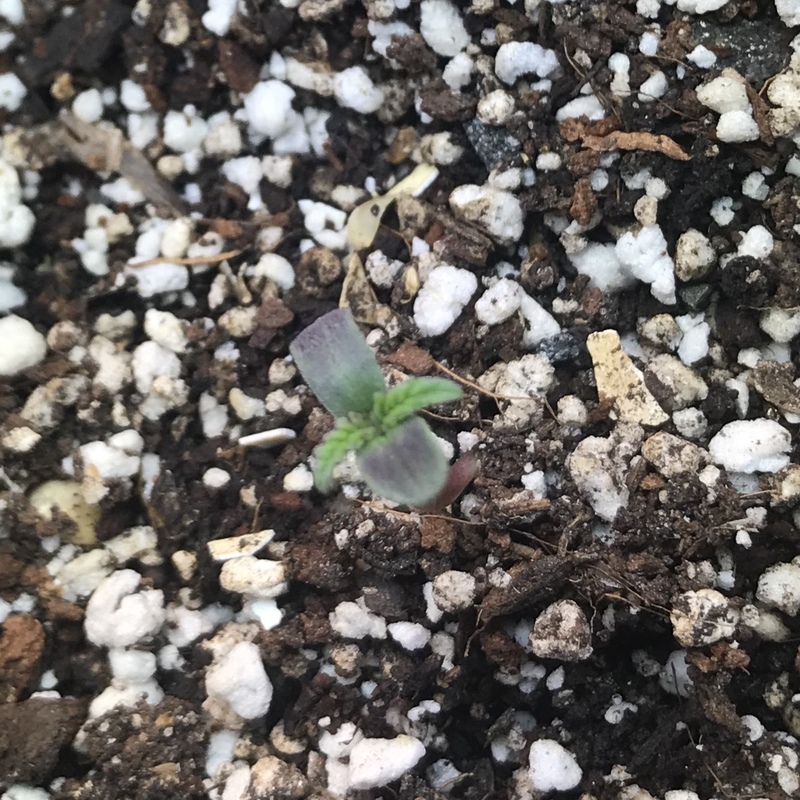 Two Deep Chunk x Jungle Spice, both born with purple cots. @DiggySoze.....lol, which BD... here 2 BD#2×js just opened up today. I've never seen that before, really cool! @DiggySoze which color was that vial again? DiggySoze which color was that vial again? Just put 4 x JS #7, and 4 x JSxBD2 into coco, looking forward to seeing them!